Joe B. 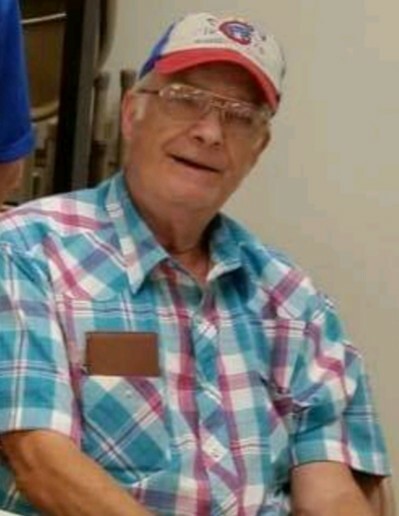 “Butch” Ludwick, 73, of Warsaw, Illinois, passed away on Wednesday, March 20, 2019, at Blessing Hospital in Quincy. Butch was born on April 23, 1945, in Cantril, Iowa, the son of Joseph and Rilla Mae (Bertram) Ludwick. On July 11, 1969, he was united in marriage to Roberta Stone in Bloomfield, Iowa. She survives. A long-time resident of Warsaw, Butch was employed as an electrician at Griffin Wheel in Keokuk for over thirty-five years. He was a life-long member of the NRA, the Warsaw VFW Post 9802, and the American Legion. In his free time, Butch enjoyed collecting guns, hunting, fishing and gardening. Joe proudly served his county in the United States Marine Corps. Butch is survived by his wife Roberta Ludwick of Warsaw; two sons: Joe B. (Becky) Ludwick, II, and Jerald (Dana) Ludwick, both of Warsaw: five grandchildren: Christy (Mike) Roerick of Branson, Missouri; Tearan “Paige” Ludwick of Kahoka, Missouri; Joel Ludwick of Kahoka, Missouri; Brianna Ludwick of Warsaw and Trinity Ludwick of Warsaw; three great-grandchildren: Zaryeth, Zaxton and Zylnn Roerick, all of Branson, Missouri; and his sister Patsy Yates of Oceanside, California. Other survivors include many nieces, nephews and cousins. Butch is preceded in death by his parents, his brother Jerald and his great-granddaughter Zylar. Funeral services with full military rites will be held at 1 pm on Sunday, March 24, 2019, at Printy Funeral Home in Warsaw, with burial to follow at Lawn Ridge Cemetery near Memphis, Missouri. Visitation will be held at the funeral home on Saturday from 2 to 6 pm, with family meeting friends from 4 to 6 pm. In lieu of flowers, memorials may be directed to Blessing Hospice or the Warsaw VFW Post 9802.